Natural gas as an energy source has a long, complex history. But the future looks bright! By 2032, it is estimated that 80 billion cubic feet of natural gas will be needed to power 400 million homes in the United States. There will be an increase in “digesters” to take matter and transform it into natural gas. Many different types of material can be used. Plants, animal waste, waste water, and natural elements from landfills are all organic materials that can be used in digesters. This is a more renewable form of generating natural gas that doesn’t take millions of years to form. Natural gas creates 45% less carbon dioxide than coal-fired plants. This easily allows natural gas to fit within the new United States Environmental Protection Agency. More natural gas energy means less coal is burned, which is ultimately better for the environment. Compressed natural gas (CNG) fueling is starting to become more popular. While the upfront cost of changing engines from gasoline or diesel into CGN engines is costly, the cost will be easily recouped in a year because the price of CNG is so low. It’s easy to imagine more and more vehicles running on CNG. 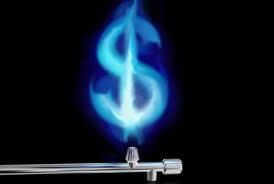 The possibilities for what can be done with natural gas and how it is created and utilized are virtually endless. We are currently experiencing some of the lowest prices when it comes to natural gas and while the energy market is always fluctuating, it’s not out of the realm of possibility to call natural gas the energy of the future!